Let me see now, where do I begin? I remember a very special culinary memory from New York that I would like to share with you. Back when I was a kid my dad and I used to go to different Steakhouses often. We both loved steak and had a taste for the best of it. So we always tried different steakhouses. 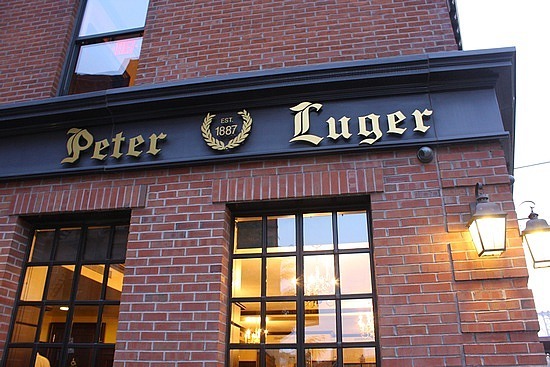 I remember one day we went to one of the finest steakhouses in New York City called “Peter Luger”. To be honest we just wanted to see what all the fuss was about. So we took a drive. We got there and walked in having a reservation. Once we sat down we immediately knew what we wanted to order. I remember he had the Porterhouse and I took a New York Strip. Our expectations were very high considering each steak was about 100-130 dollars. It wasn´t an everyday thing for us so it was okay. We know better than to pay that much for something that costs 1/3 of the price in the market. So came the long-awaited steaks. We were hungry as hell. My dad had ordered his steak to be cooked medium and I ordered medium as well. But what we both got was a quite well done steak. Now look, if you pay 130 bucks for steak then you kinda expect the level of service to be high up there. We spoke to the manager and said we just wanted to leave. They offered to redo the steaks but we were too hungry to wait another 45 mins to eat and kindly declined. After all it was a long drive. So they offered the steaks on the house. Oh come on, what would you do? Of course we sat back down. Steaks on the house from one of the most famous steakhouses in the city? Hell yeah! So we started eating our steaks and my goodness, it was the best well done steak we´ve ever had at the time. The meat was aged and the texture was stunning. It would have been much better if it was cooked medium though. But still, it was free. Once we got home we told what had happened and our rating of the steak (9 out of 10) to my mom. She didn´t show the same enthusiasm as we did though. You see, my mom has never been into steak that much. She enjoyed a steak here and there but it wasn´t her favorite meal. My dad and I never understood that. This is a memory I keep very close to me because my dad has always been my number one inspiration in my cooking. Most of the things i´ve learned, I learned from him. So going to Steakhouses with him was always special. He would learn new things and make his own style of the dish. Of course he would be the head chef when we cooked together and I was just the helper. Sometimes I was not even good enough to help. He would just tell me to watch from the sidelines.